Mayson Grayne has witnessed all of her friends get their Happily Ever Afters, but Mayson doesn't believe in her own HEA. The one man she ever loved deserted her more than thirteen years ago after her best friend's tragic death. The only thing Mayson believes in is making it through each day, even though her past as an addict and her broken memories hang over her in a dark cloud. When Grant Alexander, Mayson's ex, suddenly reappears, her carefully regimented life is disrupted. Old feelings are dredged up, as well as some distorted memories. Aware of her own instability, Mayson struggles with her past, her hot and cold feelings for Grant, and her drug addiction. Most of Mayson's family and friends believe she is okay, but she doesn't feel okay. As some of her shadowed memories become more clear, one of them with the potential to completely knock her off of her axis, Mayson begins to understand that the truth is not always as she remembers it. The Accidentally on Purpose series has always been one of my favorite series. So while I absolutely loved this book I am sad to have to say goodbye to these characters that I fell in love with. 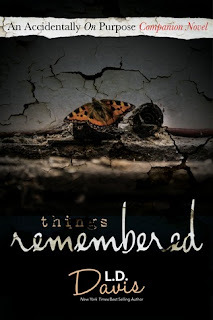 Things Remembered is a beautiful and emotional story that just grabs you from the very beginning, not wanting to let go even at the very end. This is also a story of second chances which I love. Mayson’s past is one that continues to haunt her no matter how hard she tries to move on. For her she is just living day to day trying to get past it all. She is a recovering drug addict who is still trying to piece together the lost memories from that dark time in her life. She has a mother who always pushed her to be the best and whom Mayson never really got along with. She also blames herself for certain tragic moments in her life. There is one person from her past who she loved and that was her best friend's brother, Grant. Together they had an amazing connection and loved each other. But when her friend died, Grant had to walk away. He couldn't stand by and watch Mayson continue to harm herself and most of all he couldn't lose someone else that he loved. It’s been thirteen years since they have seen each other. But when they do the feelings that Grant had for Mayson is still there. Mayson on the other hand is a very bitter, and angry women with no filter. She says what she feels and does not hold back at all. Grant will do everything in his power to prove to Mayson how good they are together, how much he still loves her and needs her. But most of all he wants to prove to her that she is the beautiful butterfly that he saw her as many years ago. That she has the strength to fly high and be everything that she truly wants to be. And no matter how many times Mayson pushes him away or runs, and believe me she does, he will catch her. He is not giving up on their love no matter how hard she tries. Grant was just pure perfection in every way. He has quickly become my favorite male character of Ms. Davis’. He sees something in Mayson that she herself cannot see. He sees her beauty, her strength and her love. He knows deep down that she has the ability to love and open up her heart again, he just needs to show her how. I cannot even express how much I loved this man. From the moment I met him I fell for him. The way he spoke to her, loved her and protected her just made me swoon. He truly loved this woman and you could see just how much. Mayson is a bit of a tough woman which considering all that he has gone through it is understandable. She has been through hell and back. She doesn’t think she is good enough for Grant. He deserves better than her and all of her baggage. But what Mayson soon finds out with the help of Grant by her side, is that not everything is how she remembers it to be. And maybe once the truth comes out she sees exactly what it is that Grant sees. I loved Grant and as tough and frustrating as she was I did love Mayson. But what I loved the most is the two of them together. Their love and their connection was just so beautiful and so intense that I loved watching their story unfold. Mayson grew so much from the person that we met in the beginning. I loved watching her be able to open up her heart and soul again to the only man that she has ever loved. But it wasn’t just about Grant, she became the woman that she truly was, the woman that Grant saw and somehow she managed to open up her heart to his two children as well. It was such a joy to watch and to see this broken girl finally get the happiness she deserved. I have been a fan of LD Davi’s since first reading AOP. 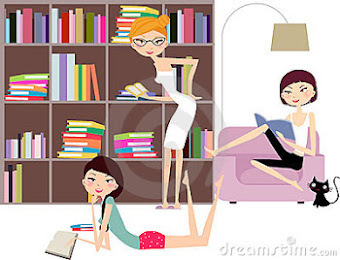 She put me through the wringer with that book so much, that any time I started a new book of hers I proceeded with caution, because you never know what you will get with her. She is the queen of angst. So of course throughout this entire book I waited for it. But Things Remembered is not like her other books. It doesn’t have that stomach dropping angst and honestly it did not need it. I think Mayson and Grant had enough drama that it was not needed at all. We saw the struggles that they both went through as a couple but we also got to experience Mayson’s past. We were there when she tried to figure it all out and fight her demons. And surpisingly we also got to see her friendship, if that’s what you can call it with Kyle Sterling. Yes you read that correctly. Aside from Mayson and Grant I think this is one of the highlights of this book for me. They have a love/hate relationship but you see how these two came together as friends and how in his own way Kyle cares. 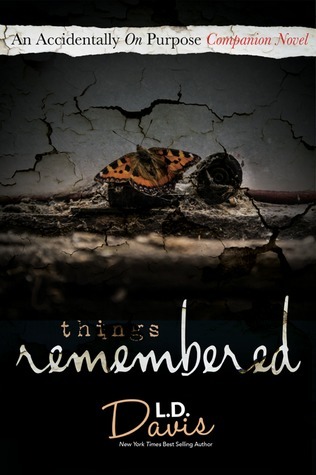 Things Remembered was an amazing story of love, second chances, hope and finding yourself. I loved how in the end this series came full circle. The couples from the other books that we all love are very much apart of Mayson and Grant’s story. I loved ever minute of this book. Another fantastic job!